Last year, JANG Won-seok (a.k.a. Billy Acumen) worked at full tilt concentrating only on producing films. As a result of his hard work, seven films in which he took part as a producer were released during the year. These induded Ghost Sweepers, Confession of Murder, The Grand Heist, Project 577 and Don’t Click. This year, things have been much the same. JANG has been putting his shoulder to the wheel to produce excellent Korean films. 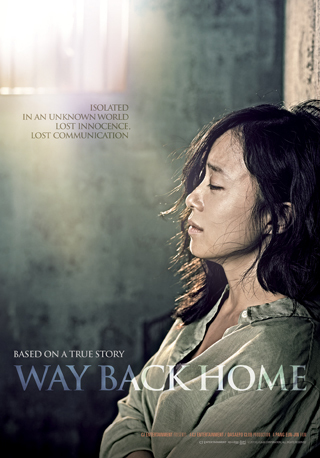 Way Back Home, a PANG Eun-jin human drama starring JEON Do-yeon, who won the Best Actress Prize at the Cannes International Film Festival in 2007, is slated to have its premiere on December 19th. The shooting of Take It to the Grave, the new KIM Sung-hoon film, will begin at the end of November. Take It to the Grave is an Abel Ferrara-style film that matches LEE Sun-kyun and CHO Jin-woong as a bad cop and an even worse cop. JANG’s future production list goes on and on as it includes various films in pre-production and planned projects such as Rebound, based on the true story of the basketball team at Jung-ang High School in Busan, The Royal Retainer (literal translation) where King Yeongjo and Prince Sadoseja are the two main characters, Discorporated Man, A Love Affair to Die for (both literal translation), Tazza: The High Rollers 3 and Body To Body, a remake of the French film of the same title. 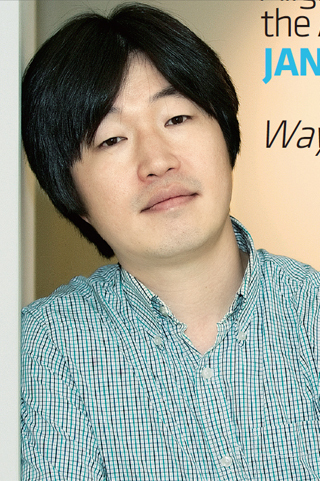 These days, JANG is one of the most active producers in the Korean film industry. JANG is involved with two film production companies – as the CEO of Dasepo Club and LDV Pictures. His film life stretches back a long time. The moment of success came to him earlier than expected. JANG worked for various film projects such as Over the Rainbow (2002), a romantic comedy starring LEE Jung-jae and the late JANG Jin-young, and Ice Rain (2004). JANG happened to watch the play Yi and found that it would make an excellent basis for a film. JANG recommended the production of a movie version of the play to Eagle Pictures, headed by CEO JUNG Jin-wan. The work was none other than King and the Clown (2005). JANG’s insight paid off big time. King and the Clown, with his name in the credits, drew 12.3 million spectators across the nation, exceeding the Korean box office record of 11.74 million admissions recorded by TaeGukGi: Brotherhood of War in 2004. Finally, King and the Clown established JANG Won-seok in the Korean film industry. JANG evaluates that currently the Korean film market is in a stable growth period. JANG chose as a good example the fact that Showbox/Mediaplex made up for the big losses of Mr. Go through The Face Reader. “Korean filmmakers do not ride an emotional rollercoaster due to the box-office performance of one film,” JANG explained. “In older times, the flop of Mr. Go would have dumbfounded the entire Korean film industry. Showbox is ready to release a stable line-up including Hwayi, Commitment and The Huntresses after The Face Reader. We have to consider the fact that film investors and distributors are now able to go over and evaluate scenarios. In the past, they recklessly began production on films after checking directors and actors. But these days, they shun a film starring name actors to be directed by a star director if its contents are poor. I’ve see it happen a million times. Blockbusters are not an exception. It is natural that a film with a production budget of over KRW 10 billion won be produced if there is enough demand. But more thorough production management should be observed for such films. It is like the blue bird, everything begins from content.” Indeed, producer JANG’s secret recipe for success wasn’t so far off.